With the long weekends coming up (think of Saint-Jean-Baptiste or Canada Day), many of you will certainly be tempted by a short getaway, in order to start the summer off right and to get a little taste of holiday feeling; why not? Well, we thought of you trekking enthusiasts! Here are three trips of three days to fully enjoy the upcoming long weekends. 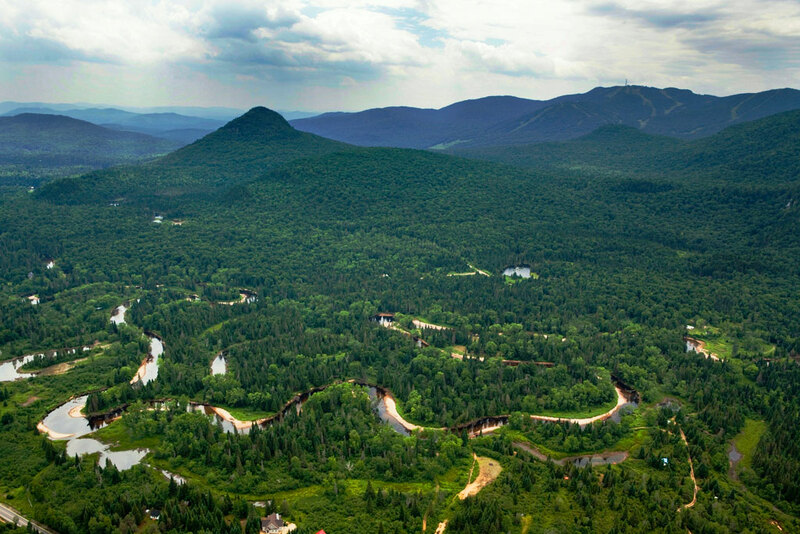 Located in the heart of the Mont Tremblant National Park, La Diable loop is aptly named. Totalling 47.6 km of trails, with a slight drop of 250 m, it’s generally done in three days and two nights. There, you’ll discover beautiful lakes, rivers and falls as well as several species of birds and animals. Oh and by the way, clockwise hiking is a little easier! As the name suggests, the Fjord trail offers an incredible view of the Saguenay Fjord, both at sea level and above. The shelters, on the side of fjord walls, allow you to observe the belugas, sometimes even the minke whale. From Sainte-Marguerite Bay to Tadoussac, which represents 43.5 km, the Fjord promises you a multi-sensory experience. 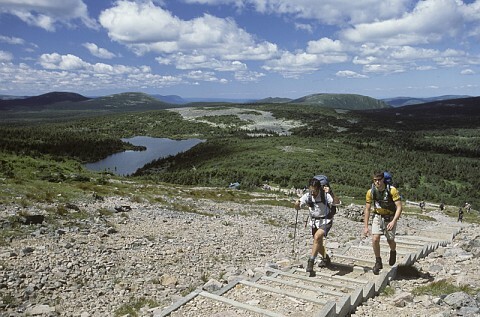 The Gaspésie National Park is a treasure for all hikers. From its large massifs, it provides its spectators the most fabulous decor. The crossing of McGerrigle Mountains can be done in two or three days. The first 477 m drops will allow you to enjoy a panoramic view, while the rest will make you discover a magnificent glacial cirque. Do you have plans for long weekends this summer? Try these few suggestions and come back to us with your impressions!